We're nearly two months away from St. Louis Symphony Orchestra Music Director Designate Stéphane Denève's next appearance here (May 10-12), but 19th century music from his French homeland dominates the concerts as Gilbert Varga conducts the orchestra this Friday and Saturday (March 22 and 23). Let's grab a croissant and see what's on the table d'hôte. 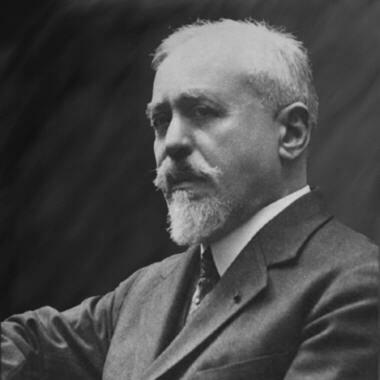 At the top will be the popular 1897 tone poem "The Sorcerer's Apprentice" by Paul Dukas. Inspired by "Der Zauberlehrling," a 1797 poem by Goethe, the piece is a vivid portrait of a magician in training whose attempts to transform a broom into a water carrier lead to disaster. It's filled with brilliant orchestral details, from the delicate opening measures for flutes, clarinet, harps, and strings, to the comically animated broom depicted by the bassoons, to the massive orchestral climaxes as the hapless apprentice tries to bring that broom under control. A popular work from the beginning, "The Sorcerer's Apprentice" got a huge boost when Walt Disney decided to animate it in 1937 as a vehicle for Mickey Mouse, whose celluloid career was in a bit of a slump. Not one for half measures, Disney managed to secure the services of the most famous conductor of the time, the flamboyant Leopold Stokowski, to conduct an orchestra of Hollywood studio musicians. The results were impressive but the cost--over $125,000 ($2.2 million in contemporary dollars)--made "The Sorcerer's Apprentice" too expensive to ever succeed as a short. As it result, it became but one segment in "Fantasia," the pioneering 1940 feature film that combined classical music and animation in ways that still look visionary today. Next, we jump back 20 years to Édouard Lalo's Cello Concerto in D minor, written in 1876 for the Belgian cellist Adolphe Fischer, who premiered it the following year. It's a colorful piece with a strong Iberian influence, calling the mind the old joke that some of the best Spanish classical music was written by Frenchmen. Indeed, as Thomas May points out in program notes on the concerto, "Lalo, like his contemporary Bizet in the opera Carmen, had already anticipated the vogue for evoking Spanish atmosphere that attracted French composers at the end of the century." Lalo might also have been thinking of what a huge success he'd had the year before with his "Symphonie espagnole," a large-scale work for violin and orchestra first performed by the celebrated composer/violinist Pablo de Sarasate. The "Symphonie" was his first big hit after decades of cranking out chamber works, songs, and operas that never quite caught on, and I suspect he might have been hoping to strike gold again. If so, he succeeded, even though the concerto has never been as popular as the "Symphonie espagnole." The SLSO, for example, hasn't played it since 1986, when Raymond Leppard was on the podium and the soloist was Lynn Harrell. But, as Blair Johnston writes at Allmusic.com, it is "a favorite of student cellists that is nevertheless surprisingly and wonderfully colorful in a master's hands." This weekend, it will be in the hands of the young (born in 1976) German cellist Daniel Müller-Schott, playing a cello made by Matteo Goffriller in Venice in 1727. Mr. Müller-Schott comes to us from engagements in New York and Chicago, and has performed with (among others) Vladimir Ashkenazy, Charles Dutoit, Christoph Eschenbach, Kurt Masur, and André Previn. His long list of recordings includes Mozart Piano Trios with Anne-Sophie Mutter and André Previn and Beethoven's complete works for cello and piano with Angela Hewitt. He also has some impressive reviews, like the one by Raoul Moerchen of a 2017 performance of Brahms cello sonatas for the Kölnische Rundschau. Mr. Moerchen wrote that the cellist "is not least of all so successful because he uses his instrument to say clearly what he wants...He does not have to push and shove like some cellists do, his tone is articulate, and carries right into the rows at the very back without becoming pot-bellied and bloated." 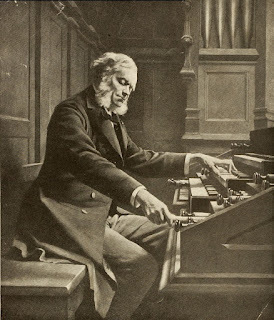 The concerts will conclude with the first and only symphony by César Franck. Written in 1888, when the composer was in his 60s, it's a dramatic work with a dark, urgent first movement, a richly romantic second movement with a justly famous English horn solo, and a blazing, powerful finale. The symphony is often cited as a classic example of "cyclic form" in that it re-uses and transforms themes throughout its length--and does so quite ingeniously. It's irresistible as far as I'm concerned, which makes it interesting to look at some of the hostility it aroused when it was first performed. The subscribers could make neither head nor tail of it, and the musical authorities were in much the same position. I inquired of one of them--a professor at the Conservatoire and a factotum of the Committee--what he thought of the work. 'That a symphony?' he replied in contemptuous tones. 'But, my dear sir, whoever heard of writing for the English horn in a symphony? Just mention a single symphony by Haydn or Beethoven introducing the English horn. There, well, you see--your Franck's music may be whatever you please, but it will never be a symphony.' This was the attitude of the Conservatoire in the year of grace 1889. "Even aside from artistic concerns," writes Peter Gutmann at classicalnotes.net, "Franck's wife deplored the Symphony on moral grounds, as she felt that its sensuality and emotion had no place in music." 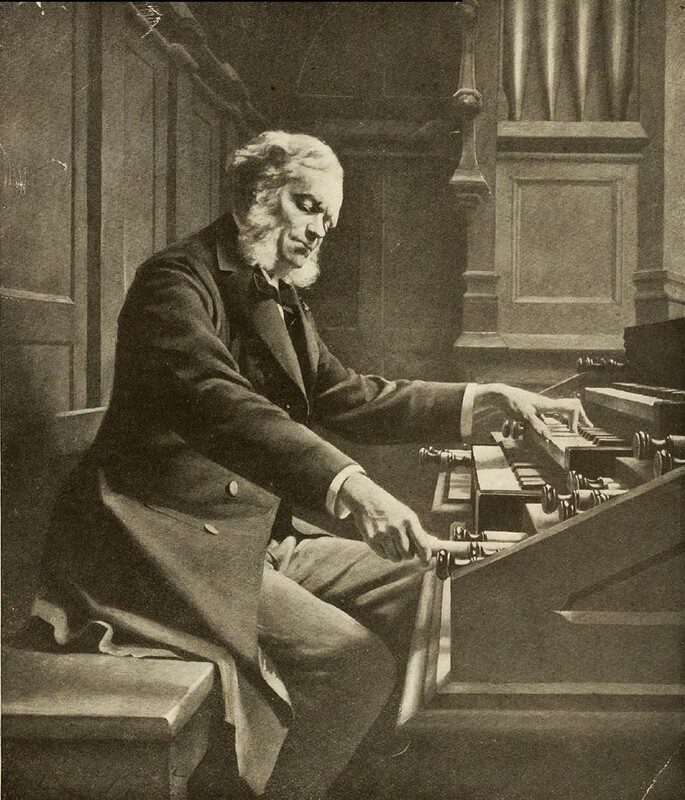 Following the shock of French defeat in the Franco Prussian War (including months of a debilitating siege of Paris in late 1870 and early 1871), [Camille] Saint Saëns was one of the leaders of a movement to reestablish French art, particularly with the aim of promoting musical forms that seemed to have been dominated for decades by German composers. This meant the abstract instrumental forms of symphony and concerto. Since the early part of Berlioz's career forty years before, there had been virtually no French composers interested in large form concert music, instead the opera and ballet attracted the attention of composers and audiences. Shortly after the Siege of Paris had been lifted, Saint Saëns founded the Société Nationale de Musique, with the motto "ars gallica," to promote new French music, especially in the abstract genres. In addition to Saint Saëns himself, the Society included in its organizing committee Fauré, Franck, and Lalo. Over the years the Society sponsored premieres of important new works by leading French composers. In 1886, unfortunately, the Société Nationale was split apart by (as described at Good Old Wikipedia) a decision "to accept 'foreign' (i.e. principally German) music and an admiration for the music of Richard Wagner by some of its younger members (notably Franck himself and D'Indy). 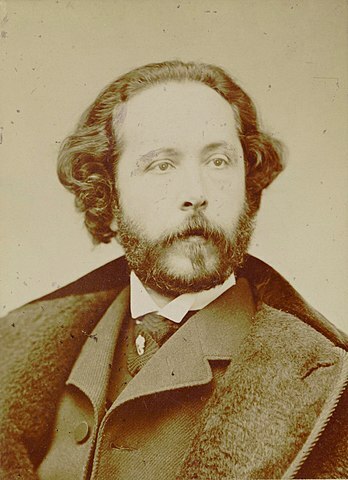 This unacceptable betrayal of French music led several conservative members of the Société, led by Saint-Saëns, to resign; Franck himself thereon assumed the presidency. The resulting environment was poisonous." Further alienating the anti-German contingent was the fact, as Tom Service writes at The Guardian, "Franck's symphony starts with a veiled--or actually pretty obvious--homage to German music, to Beethoven's last quartet. Franck's opening theme is a rewrite of the questioning phrase to which Beethoven appended the words, 'Muss es sein?' ('Must it be?') in the last movement of his final string quartet." In addition, the work's dark sonorities were seen as a little too close to the music of Liszt and Wagner for comfort--although to my ears they're more reminiscent of the sound of the pipe organ, an instrument on which Franck was a virtuoso. As Mr. Service notes, the piece "attempts an ambitious fusion of French and German musical traditions at a time when to do so was politically and aesthetically controversial--anything that smacked of rapprochement with German sensibilities was seen as unpatriotic." Now, of course, we can just admire the skill with which Franck synthesized French and German traditions to produce what Mr. Service calls "French music's most significant late-19th century symphony." The Essentials: Gilbert Varga conducts the St. Louis Symphony Orchestra, along with cellist Daniel Müller-Schott, Friday at 10:30 am and Saturday at 8 pm, March 22 and 23. Gemma New conducts the orchestra in a special Family Concert on Sunday, March 24, at 3 pm. The program consists of Vaughan Williams's Overture to The Wasps and Saint-Saëns Carnival of the Animals. Emily Bowling is the narrator with pianists Peter Henderson and Nina Ferrigno. There's also a St. Louis Symphony Youth Orchestra concert on Saturday, March 23, at 1 pm . Gemma New conducts a program that includes Smetana's "The Moldau," the overture to Verdi's "La forza del destino," and Tchaikovsky's Symphony No. 5.